A modern, lighter design, feature a wider range of services a design was implemented for Alison courtesy of Michael David Design. Alison reports that the responsive design (that looks particularly great on the iPad), and attention to making the site Google friendly from the start - means her site pays for itself many times over by bring inning in new customers for her business. 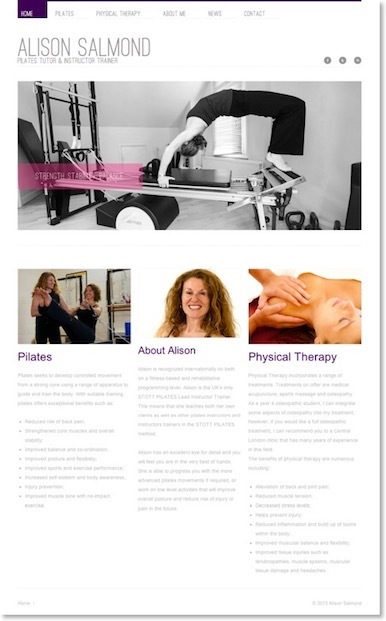 Alison is the UK’s only STOTT PILATES Lead Instructor Trainer. This means that she teaches both her own clients as well as other pilates instructors and instructors trainers in the STOTT PILATES method.